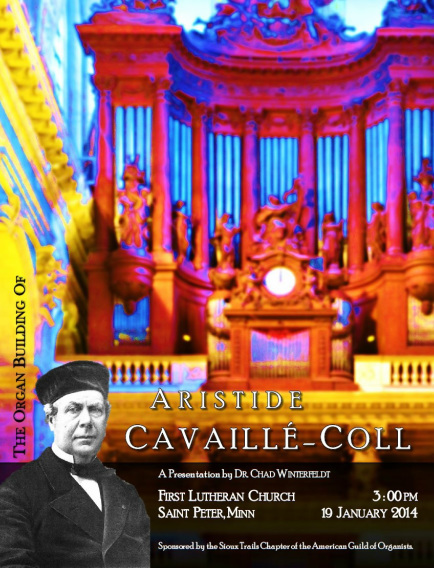 The presentation about the organ building of Aristide Cavaillé-Coll will be held in the Conference Room at First Lutheran Church in Saint Peter (1114 Traverse Road). Following the presentation, all are welcome to enjoy dinner at Lone Star BBQ & Grill also in Saint Peter (408 S Third Street). More information about the restaurant can be found at their website, www.lonestarbbqgrill.com.